Through the month of September, No.43 Italian Bistro at Cape House, Bangkok, invites you to try a succulent dish: Gamberoni Alla Luciana King Prawns in Lemon Cherry Tomato Sauce. 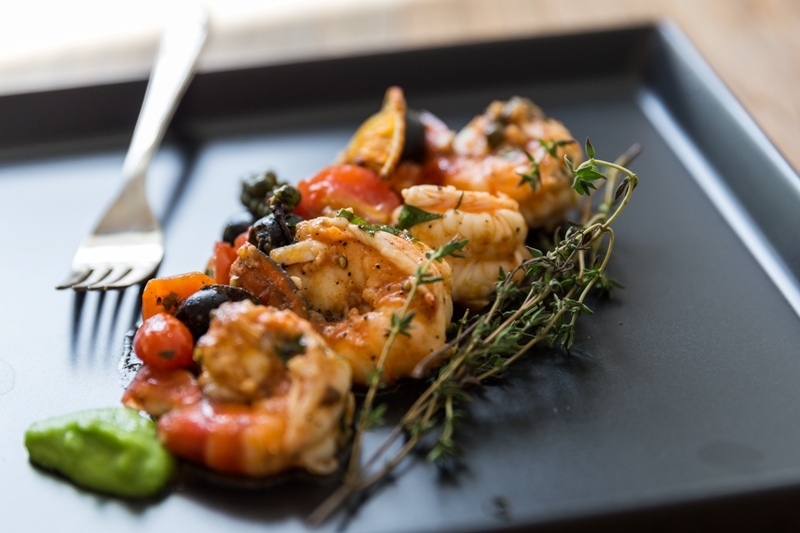 Our skilled and creative Italian Chef Giovanni Salice has crafted this special dish utilizing a traditional Italian lemon cherry tomato sauce directly imported from Italy to provide a delicious sour contrast to the sweet taste of freshly-grilled king prawns. Enjoy this succulent dish for only Bath 500++. For more information, please contact Cape House, Bangkok at: 02-658-7444, or visit the website at: www.capehouse.com. วันที่ 27 สิงหาคม 2558 เวลา 13:35 น.